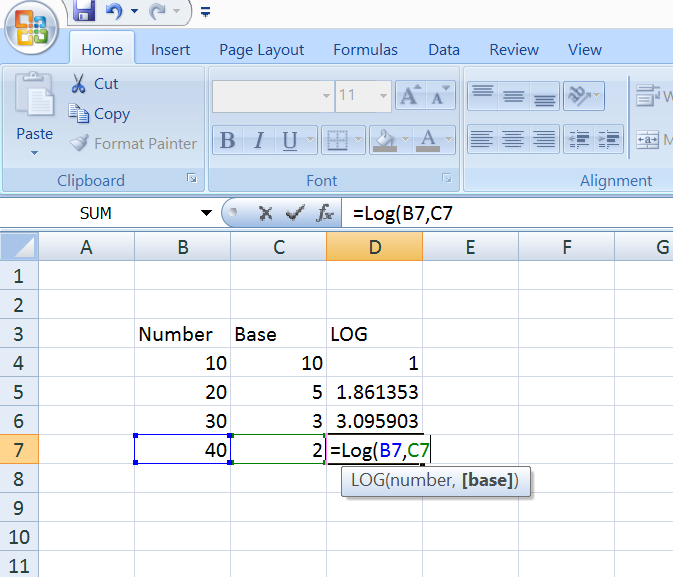 The LOG function in MS excel returns the logarithm of a number to the given base. 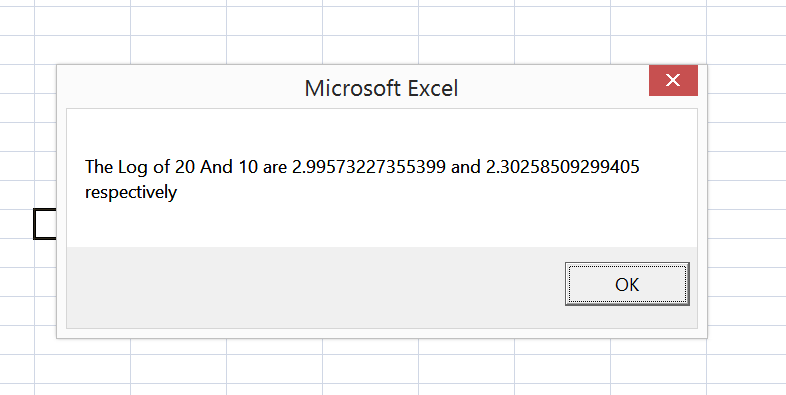 NOTE: LOG function takes different parameters when it is used in WorkSheet and used as a VBA function. Input provided here is considered to be the base . strResult = "The Log of " & number1 & " And " & number2 & " are " & Log(number1) & " and " & Log(number2) & " respectively"
219 queries in 0.184 seconds.